The US and Russia edged closer to a deal that could pave the way for Russia to finally join the World Trade Organization, not long after Russian president Vladimir Putin publicly expressed his exasperation with the process. Early indications suggest, though, that the final and most challenging hurdle could be the US Congress, which is increasingly concerned about deteriorating democracy in Russia. Meanwhile, a dispute with Moldova and Georgia over wine imports threatened to cast a pall over Russia’s efforts to satisfy the WTO. In another move that raised concern, the head of Hermitage Capital Management, the single-largest portfolio investor in Russian stocks, was denied a visa to enter the country, sending a chill through the investment community. Bill Browder has called for improved corporate governance but has also been a cheerleader of the policies of President Putin, raising questions about the true reasons behind the move. State natural gas monopoly Gazprom demanded a five-fold increase in natural gas prices paid by Belarus and said that it had already reached an agreement to double prices charged to Armenia. Hiking prices charged to former Soviet satellites is a departure from Gazprom’s previous approach, although consistent with the early January increase in prices charged to Ukraine. The screws continued to tighten on Yukos, formerly Russia’s largest oil company, as a recently appointed senior manager charged with heading off bankruptcy was arrested. 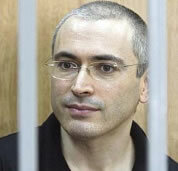 Meanwhile, jailed former CEO Mikhail Khodorkovsky was reportedly attacked in prison but apparently was not seriously injured. In the first transaction in what is likely to be an extended consolidation process, Russia’s third-largest and fifth-largest food retailers, Pyaterochka and Perekriostok, announced that they would merge, creating Russia’s largest grocery store company.